Carmine Joseph Crescente - 1st Priority Mortgage, Inc. Thank you for visiting our website. I look forward to helping you achieve the American dream of home ownership whether you are a 1st time buyer or presently own. 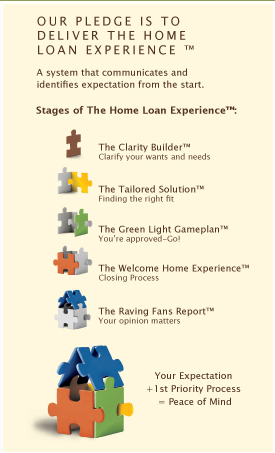 Working in the customer service and mortgage industry since 1988, I understand the importance of building that special personal connection with each client individually to help make the home buying experience smooth and enjoyable. My extensive experience consists of working with a wide array of products including FHA, VA, USDA and Conventional loans. I am excited to work with local Real Estate professionals, having your client’s best interest in mind, and delivering the home loan experience. I pride myself in creating Raving Fans. I am a very dependable and loyal person. My attention to detail and organization skills will provide my clients and Real Estate professionals with a positive experience.